A fighter getting his black belt in Brazilian Jiu-Jitsu is like an angel getting his wings, and after eight years of training - plus fighting in Ring of Combat, Pancrase and on TUF 12 - you can bet New Jersey-based fighter Andy Main damn sure deserved his wings. 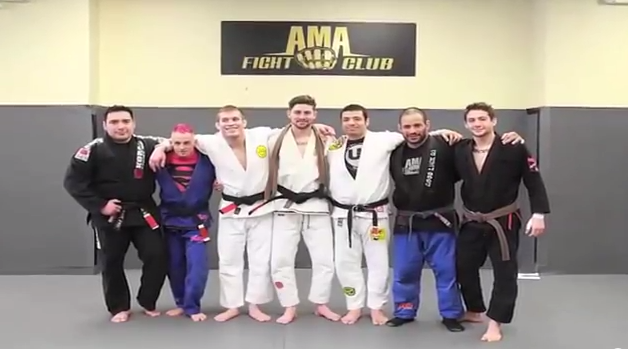 After the jump, you can watch Andy promoted to black belt. And if you want to see him in the cage, where he usually mixes fantastic jiu-jitsu with heavy hands, you can do so at the April 19 CFFC event in Morristown, N.J. 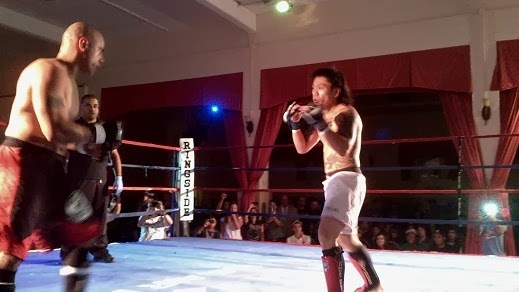 They hadn't yet committed to amateur MMA events within city limits, but in 2012 the Aggressive Combat Championship was most certainly churning out fight shows - shows that featured a mix of kickboxing, boxing, grappling and combat jiu-jitsu bouts. Here's a look back at one they did in Queens, at a venue so wonderfully close to my house that when it was over, I was able to stop by my favorite Vietnamese restaurant while walking home.